As a consumer of health and fitness information, it’s tough to figure out what's fact from fiction to decide what creates optimal health. Today, Dr. Brad Dieter our special guest on the show is here to clear up a lot of misinformation. 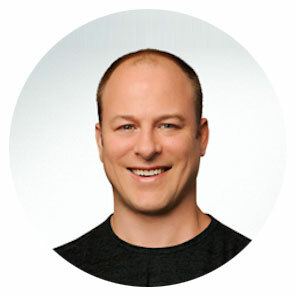 Dr. Dieter is a research scientist studying metabolism and chronic disease and is also an experienced sports nutritionist and strength and conditioning coach. We're going to dive into what the science says and what his experience has proven to achieve results. Listen Now! Nowadays there are so many great ways to learn and improve your skills, from reading blogs, listening to podcasts, to watching YouTube (just to name few) that you often forget the importance of being in a live face-to-face setting. Today, I'm going to do something a little different, I'm going to talk about why you should be going to events and conferences. There is power in being connected to other like-minded people and professionals. You may be missing out on one of the best opportunities to take your game to the next level. Listen for more! In this time of gratitude as I reflect on the past year and what I am grateful for. This year I want to thank you for the best year of my life — the best year of Legendary Life! I want to thank you for coming back every single week to hear my interviews. For reaching out and sharing things with me. It has been an incredible journey and I feel like I'm finally hitting my stride because of you. Without you, Gisele and I would not be able to keep up the intense effort to improve this podcast into something truly transformational for all who listen. We want to wish you an amazing Thanksgiving! Listen for more. He gave an impressively informative interview in part one that I had to get Dr. Joel Seedman back to go deeper into the conversation about eccentric isometrics. He's on the cutting edge of strength training and improving the function of the human body. If you haven't heard, go to part one of this two-part series and if you’re serious about improving your fitness you don’t want to miss out as Joel takes it to an even higher level in part two. Listen now for more with Dr. Joel Seedman!